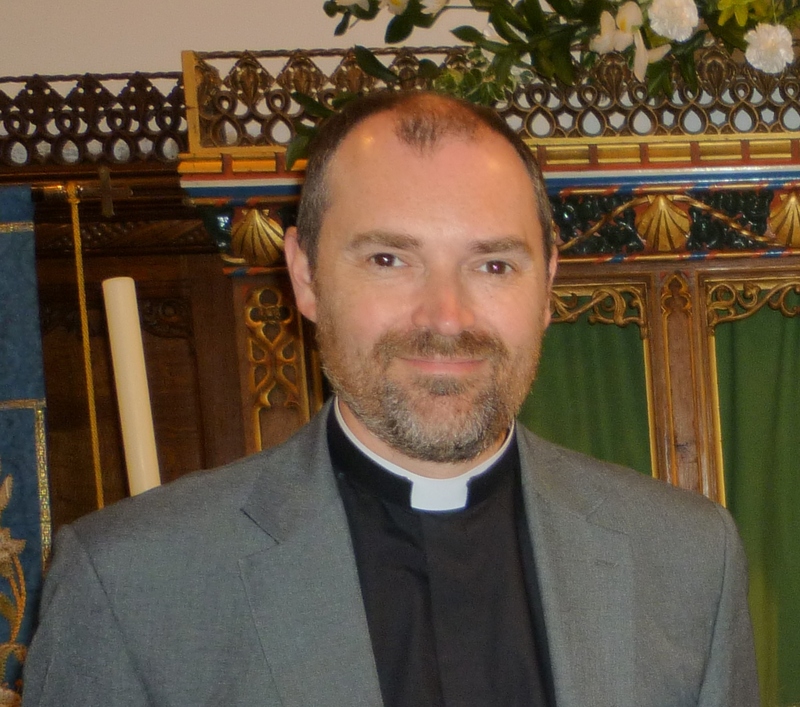 Home » Letters from our Vicar » Letter from the our Vicar June 2018. Letter from the our Vicar June 2018. I have always been fascinated by the passage of time, and in particular how the year rolls around from one season to the next. In general, I would say that I hold Spring as my favourite time of the year, a time when we are putting winter behind us and the world seems to come to life, not least in the form of the plants and flowers. And in particular I always find a smile coming to my face as I see the colours of the snowdrops, daffodils, blossom and others coming to dominate our surroundings – and also as the canopy of green along tree lined paths develops over time from the clear skies before the leaves were out. It must be said that Spring is also generally the right temperature for me. Because I am someone who like Goldilocks doesn’t like things too hot or too cold, but rather prefers somewhere in the middle. And yes, for me, it is then the temperature in Spring that is just right. It must be said though that June most certainly holds a special place in my heart as well, and exactly because of the place that it holds within my obsession with the year rolling around – because of course June is the month in the year when we have the longest day, the month when we have the 24-hour period that contains the most sunlight and the least darkness. That light is something that is intimately related to growth is a truth that we in the modern world know for certain given what we have learned about the biology of life, and plants in particular. But that people have always worshipped and appreciated the sun and light in general regardless of their knowledge of its literal life-giving qualities is something that does not surprise me either. And I have to say that I stand alongside them. To be clear, I don’t mean alongside druids or the like at Stonehenge as they welcome the sun on the solstice, but instead I mean that much of the reason that I like June’s long days is that I personally always feel that I am more alive when the sun is out, and it is light. The importance of light in the Christian calendar and world is well established too of course. Jesus said that He was the light of the world, and that He had come to bring light into the darkness. And the importance of this to those who are followers of Him, comes quite clearly from the fact that within the baptism service each candidate is given a candle exactly because of this. Indeed, this is accompanied by these exact words, “God has delivered us from the dominion of darkness and has given us a place with the saints in light. You have the light of Christ, walk in this light all the days of your life”. But perhaps what is more significant for me is the response that the congregation then join in with, the thing that they urge the new Christian to do having received this light – namely, “shine as a light in the world to the glory of God the Father”. So, Christians have a duty from the very day of their baptism to be lights in the world. This is not literally about carrying torches or somehow giving off a glow like some heat producing super power, but rather as I suggested earlier by helping people feel like they are in the light, by helping people feel that they are more alive. And how can we do this? Well by simply valuing them and giving them the love and respect they deserve would seem a good start. By facing each and every person you meet with the aim of thinking, “how can I help you today” or at the least being friendly and open would seem like a beginning and the least we can do in order to be that light that shines in the world to the glory of God the Father. June then is a time of light, a time when we have the days most full of this life-giving natural commodity. But perhaps for all of us who follow Jesus the light of the world it could be the time to think about how we can spread light and life around us – exactly as we promised, or as was promised on our behalf at our baptisms.